Have you Ever Given Everything to Jesus? 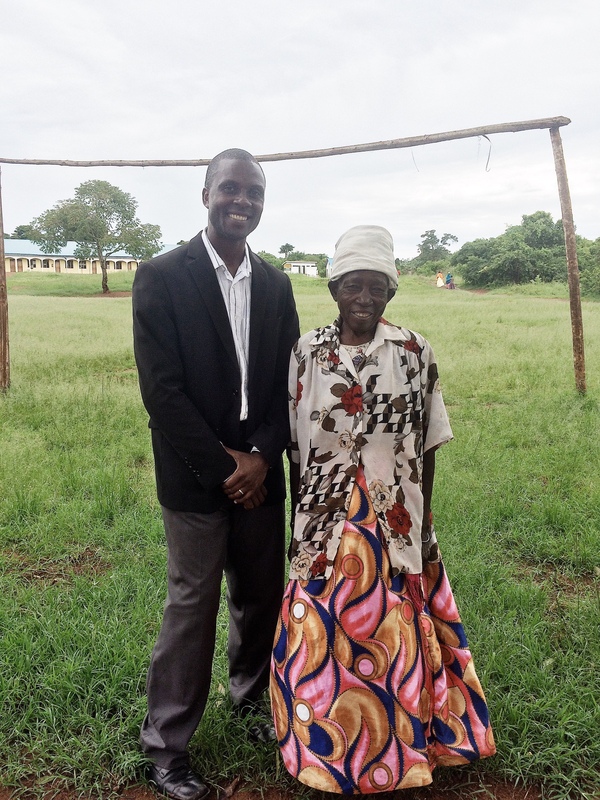 The picture you see is of our Pastor, Allan Kisakye, and a faithful attendee of our church who all of us affectionately know as Jajja Alovera. Alovera is a wonderful person to see each Sunday. She always greets you with a two handed grasp and big smile. She never seems to be down emotionally. Alovera is quite poor. She owns a piece of land which she still farms herself. She has no relatives around that care for her. But, you would never guess this lady had anything but joy for life and her brethren in her heart. I have observed that she’s one of the most faithful givers in our church. Alovera doesn’t have money to contribute, but many Sundays, she brings a bag of Avocados or Mangoes. She also makes our grass brooms that we use to clean the church and has weaved the grass mats that our small children sit on during the service. A couple Sundays ago, Alovera did something that has challenged all of us here. She’s been speaking to Pastor Allan about giving the church her farm when she dies. Allan had avoided discussing it further because he didn’t want Alovera to feel pressure to do anything she might change her mind about. Well, on the Sunday I mentioned, Alovera brought in the title to her land for the church elders to hold and have after she passes away. She suggested the church use it for whatever it would like. Alovera is as impoverished as almost anyone here, but what she does have, she gives away freely. When Pastor Allan shared this with me, I couldn’t help thinking have you ever given everything to Jesus, Jonathan? Jeremiah 3:10 ESV says In spite of all this her treacherous sister Judah did not return to me with their whole heart, but in pretense, declares The Lord. You ever hear a story about someone like Alovera and are convicted that you should be doing more for the spirit and less for your flesh? Ever sit and listen to a preacher and been convicted that you are wasting so much of the time that you’ve been given and the resources you’ve been given? The Holy Spirit has been faithful to point out the “pretenses” of my Christianity many times in my life. And each time there is momentary passion and success, but can I really say I’ve ever given everything to Jesus?